When it comes to dark chocolate, my heart simply cannot say no. In fact, the darker, the better! 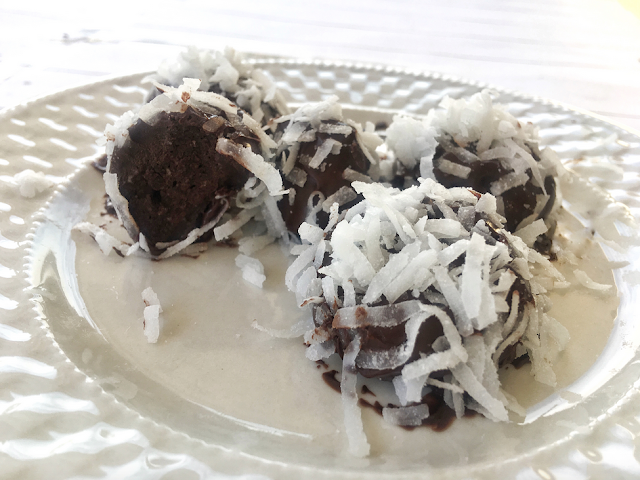 This past Valentine's Day I happened to come across a certain heart-shaped box filled with the most amazing dark chocolate truffles topped with crunchy, delicious sea salt. Needless to say, I have been dreaming about that box ever since. 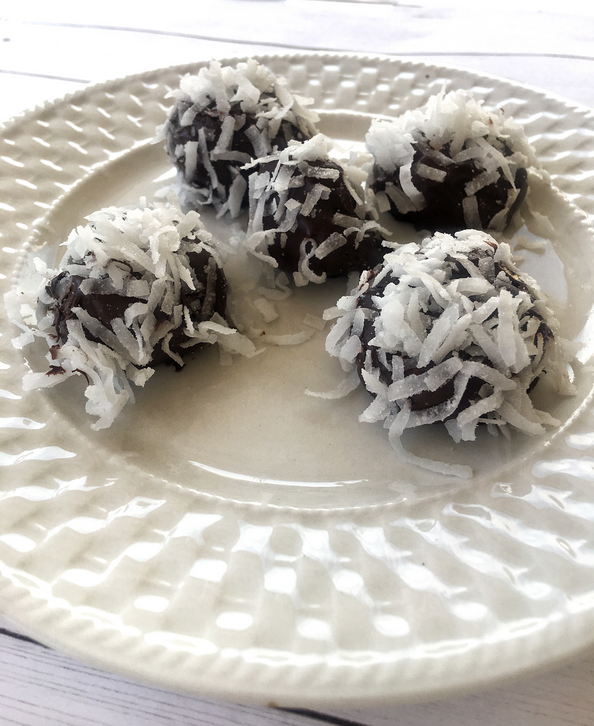 After the success with my success with the Lemon and Coconut Bliss Balls last week, I decided to try and make my own chocolatey fat bomb using the remains of my coconut oil and coconut shavings. Now, my hands are covered in dark chocolate, and my belly is still happily digesting the one--okay two--test truffles. This was such an easy recipe to make. Like ten minutes, tops. But it was messy, as working with coconut oil tends to be. So just expect a little cleanup. Wiping the countertops. Licking the spoon, beaters, bowl. . .
As always, feel free to use milk chocolate and cocoa powder over dark if that is your preference. I also used powdered sugar in mine, but have seen various recipes that use ground coconut sugar instead. Up to you! Combine cocoa powder, powdered sugar, and sea salt. 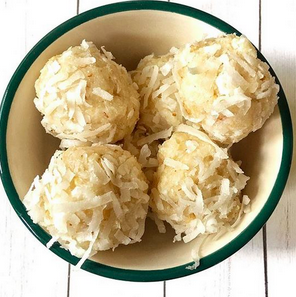 Fold in coconut oil and mix until it looks like a frosting-like consistency. Place in fridge for a few minutes until it is easy to mold into balls. Roll into small balls (I did about quarter sized) and place on parchment paper. Melt dark chocolate morsels by microwaving and stirring every 30 seconds. 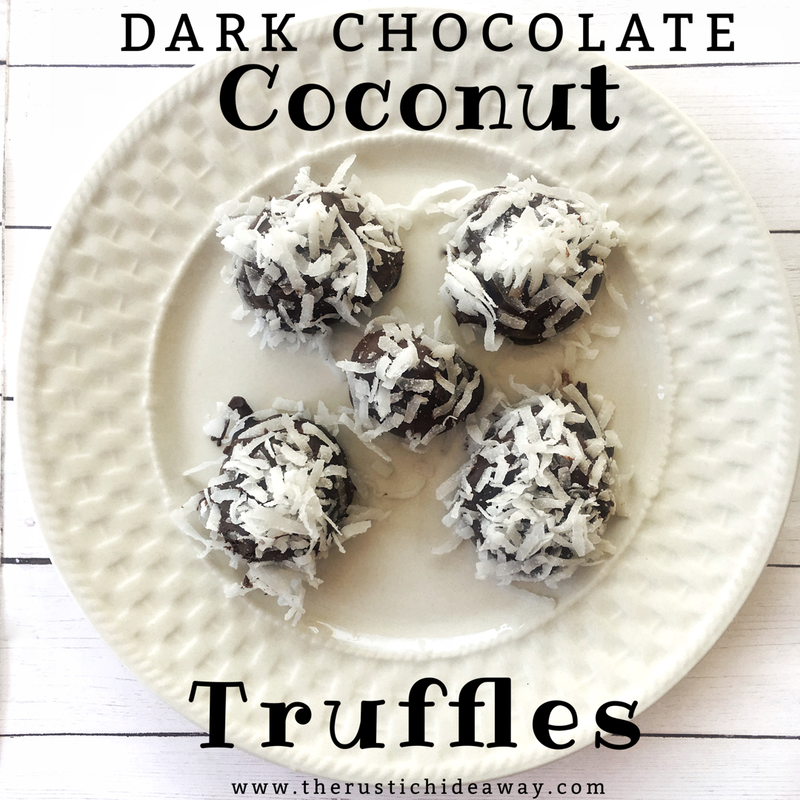 After a few minutes in the freezer, the truffles should be hard. Dip them in the melted dark chocolate. Transfer back to parchment paper and cover in shaved coconut. Place back in fridge or freezer. Note: With coconut oil, these always need to be kept chilled or they will melt.